A novella that I heard about on a blog and downloaded quite cheaply from Amazon. A delightful read, touching and heartfelt Christmas story. It was laugh out loud funny in places. I am only sorry that it was such a short story. Very mood elevating and definitely in aid of getting into the Christmas spirit. Is this a back massage or is it not a back massage? Because she’s kneading my cheeks like they’re bread dough. I’ve watched Mum make loaves since I was a child. I know what happens next. They double in size. If you need a pick me up or are just in the mood for a Christmas romance, this book would be a good fit for you. 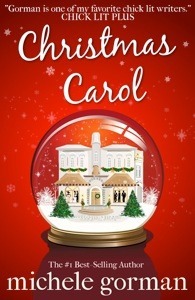 This entry was posted in Book Reviews and tagged book, Christmas, romance.